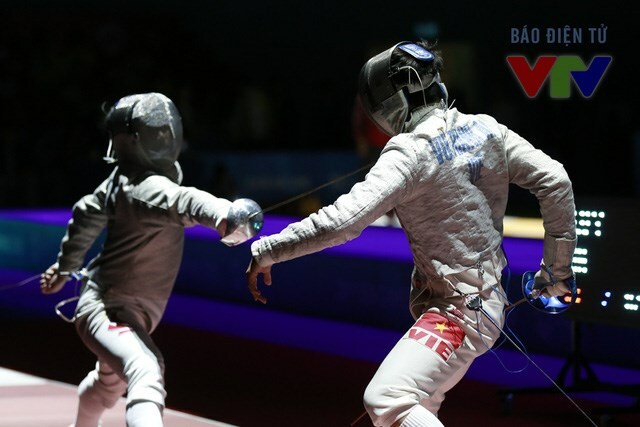 Kuala Lumpur (VNA) – Fencer Vu Thanh An won a gold medal in the men's sabre individual after defeating his Thai rival at the ongoing SEA Games 29 in Malaysia on August 21. This was the first gold medal An has secured at the sport event and the 7th for the Vietnamese team. To date, Vietnam has recorded 7 gold, 3 silver and 5 bronze medals. The country is ranked third in the SEA Games 29 medal tally, behind Malaysia and Singapore. Vietnam has sent more than 470 athletes to the SEA Games 29 in Malaysia from August 19-30. They are scheduled to complete in 32 out of 38 sports with more than 6,000 rivals from 10 other countries in the region.